Today we are releasing Developer Preview 2 (DP2) for Android Things, bringing new features and bug fixes to the platform. We are committed to providing regular updates to developers, and aim to have new preview releases approximately every 6-8 weeks. Android Things is a comprehensive solution to building Internet of Things (IoT) products with the power of Android. Now any Android developer can quickly build a smart device using Android APIs and Google services, while staying highly secure with updates direct from Google. It includes familiar tools such as Android Studio, the Android Software Development Kit (SDK), Google Play Services, and Google Cloud Platform. Android Things supports a System-on-Module (SoM) architecture, where a core computing module can be initially used with development boards and then easily scaled to large production runs with custom designs, while continuing to use the same Board Support Package (BSP) from Google. Thanks to great developer feedback from our Developer Preview 1, we have now added support for USB Audio to the Hardware Abstraction Layer (HAL) for Intel Edison and Raspberry Pi 3. NXP Pico already contains direct support for audio on device. We have also resolved many bugs related to Peripheral I/O (PIO). Other feature requests such as Bluetooth support are known issues, and the team is actively working to fix these. We have added support for the Intel Joule platform, which offers the most computing power in our lineup to date. There are many developers who use native C or C++ code to develop IoT software, and Android Things supports the standard Android NDK. We have now released a library to provide native access to the Peripheral API (PIO), so developers can easily use their existing native code. The documentation explains the new API, and the sample provides a demonstration of how to use it. An important new feature that was made available with Android Things DP1 was support for user drivers. Developers can create a user driver in their APK, and then bind it to the framework. For example, your driver code could read a GPIO pin and trigger a regular Android KeyEvent, or read in an external GPS via a serial port and feed this into the Android location APIs. This allows any application to inject hardware events into the framework, without customizing the Linux kernel or HAL. We maintain a repository of user drivers for a variety of common hardware interfaces such as sensors, buttons, and displays. Developers are also able to create their own drivers and share them with the community. One of the most interesting features of Android Things is the ability to easily deploy machine learning and computer vision. 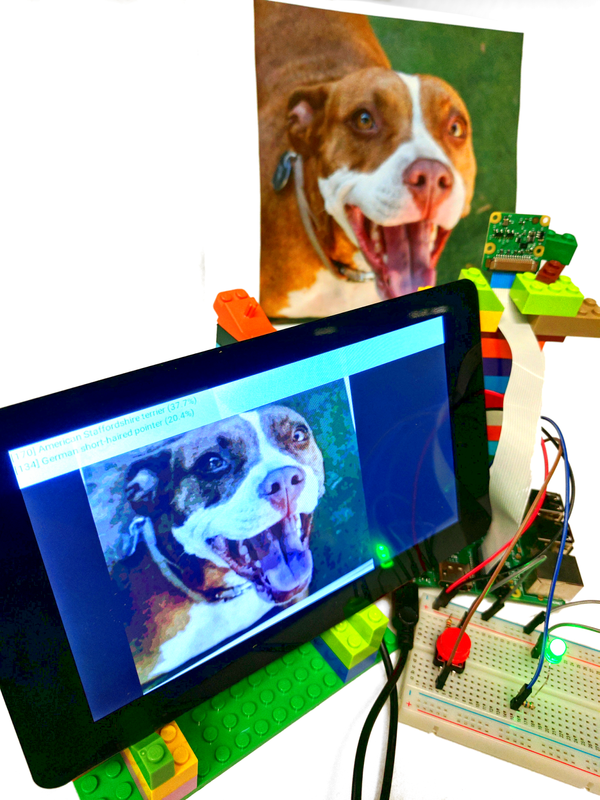 We have created a highly requested sample that shows how to use TensorFlow on Android Things devices. This sample demonstrates accessing the camera, performing object recognition and image classification, and speaking out the results using text-to-speech (TTS). An early-access TensorFlow inference library prebuilt for ARM and x86 is provided for you to easily add TensorFlow to any Android app with just a single line in your build.gradle file. Thank you to all the developers who submitted feedback for the previous developer preview. Please continue to send us your feedback by filing bug reports and feature requests, and ask any questions on stackoverflow. To download images for Developer Preview 2, visit the Android Things download page, and find the changes in the release notes. You can also join Google's IoT Developers Community on Google+, a great resource to keep up to date and discuss ideas, with over 2900 new members.